In an effort to speed up processing and stop posting in many places I’m testing how to use my Flickr images with WordPress. It feels like I upload things to way to many places and spend a lot of time post-processing after a shoot. This past weekend I did a photography session with the Northwest Babywearers. 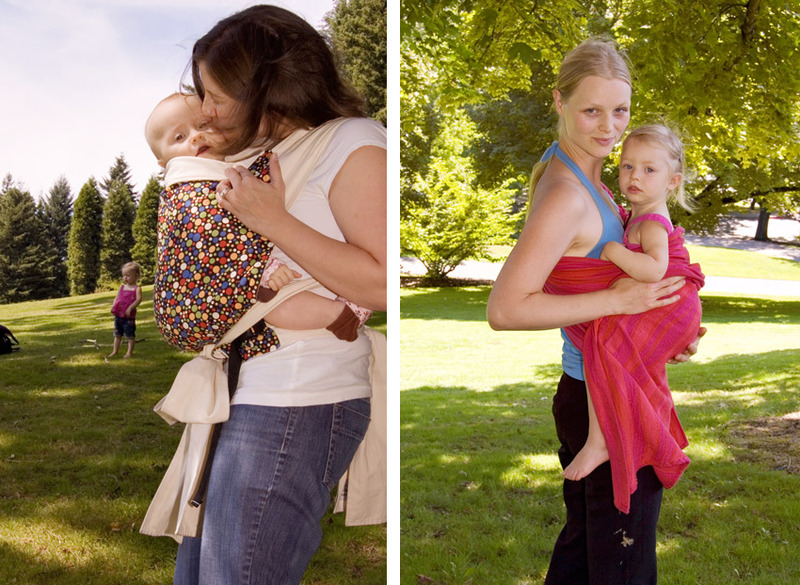 They are a local Portland non-profit dedicated to babywearing and helping others do so. This shoot was in preparation for their website redesign. I’m still processing the pictures but here’s one that I thought captured the fun nature of the shoot.